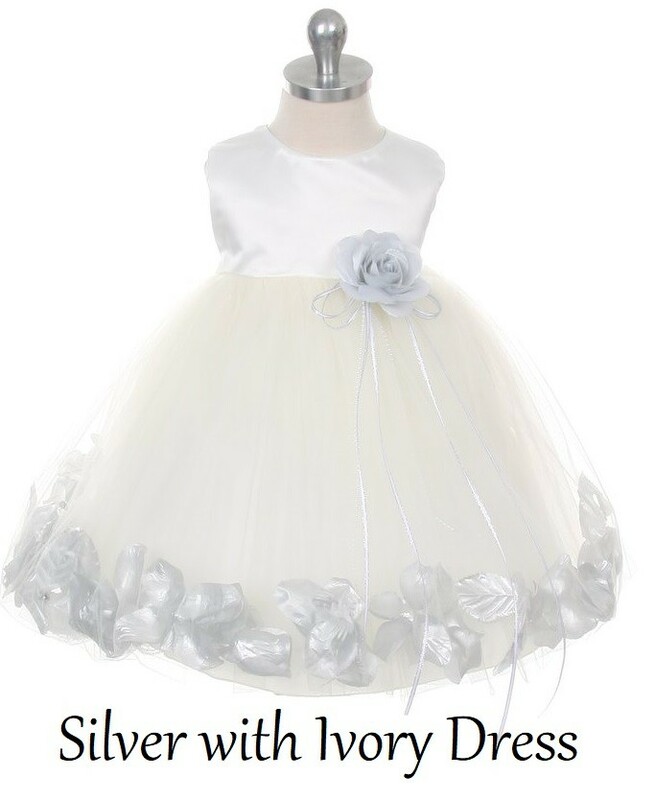 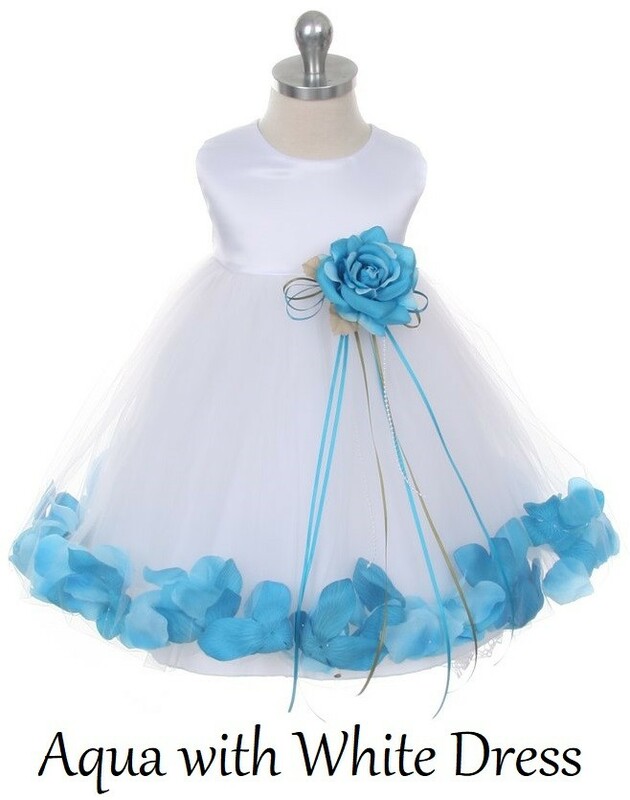 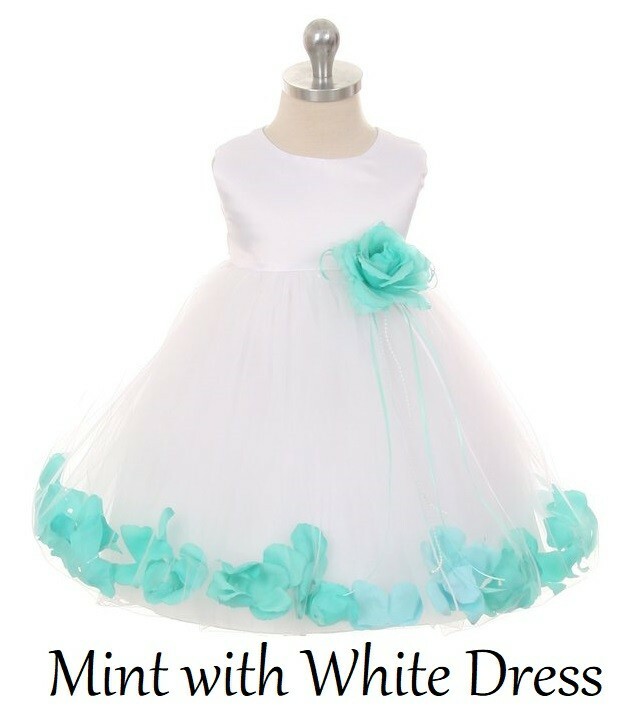 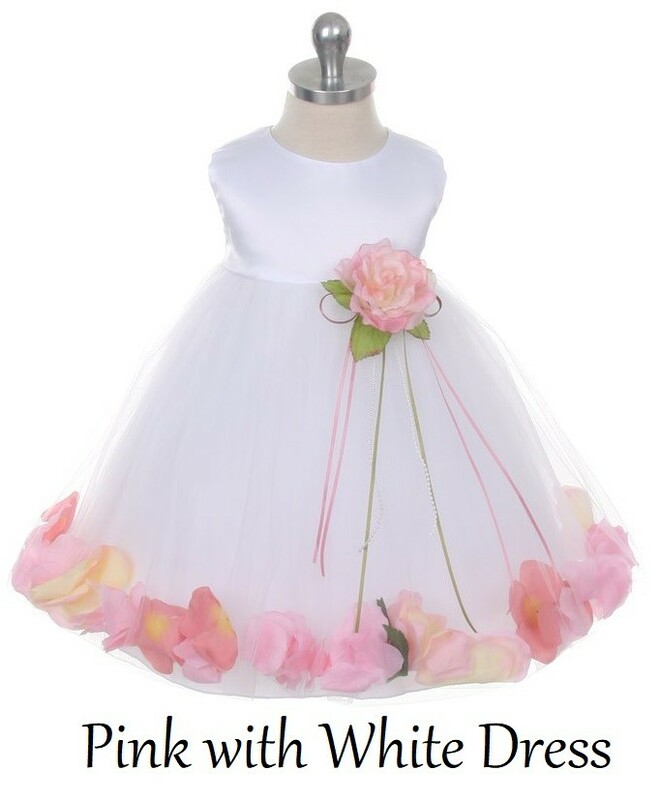 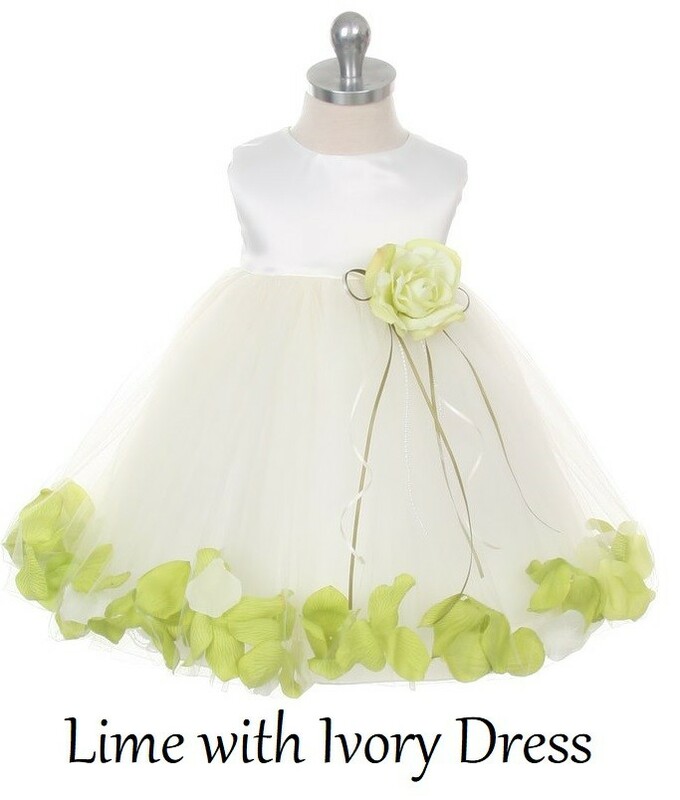 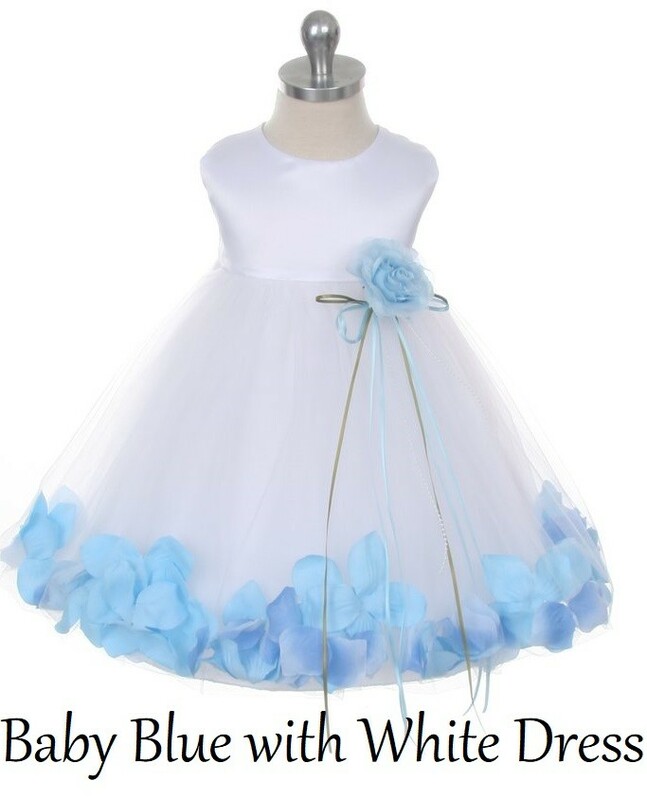 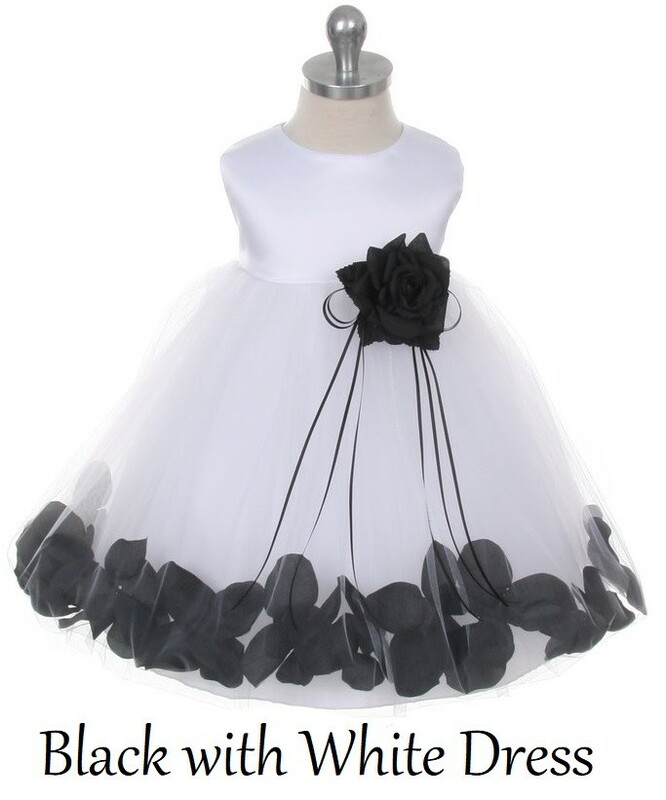 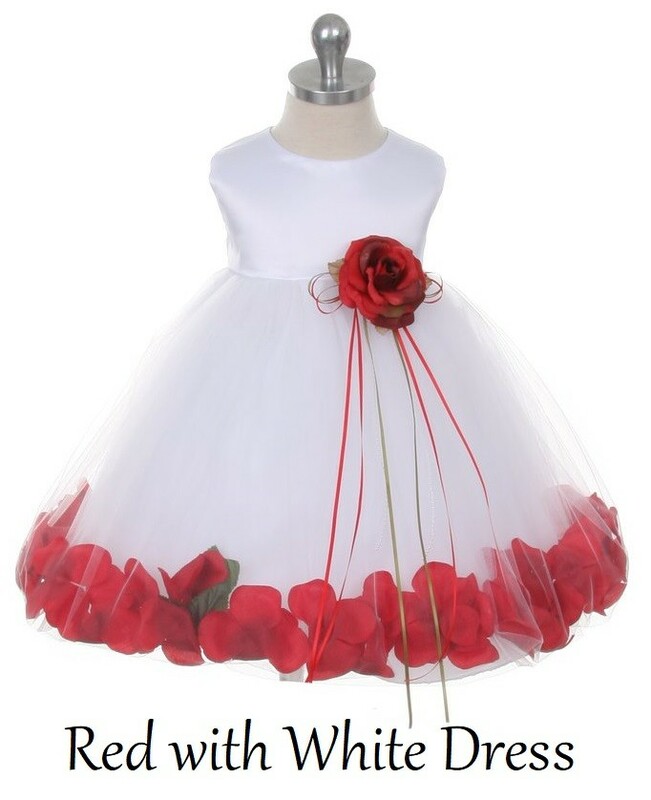 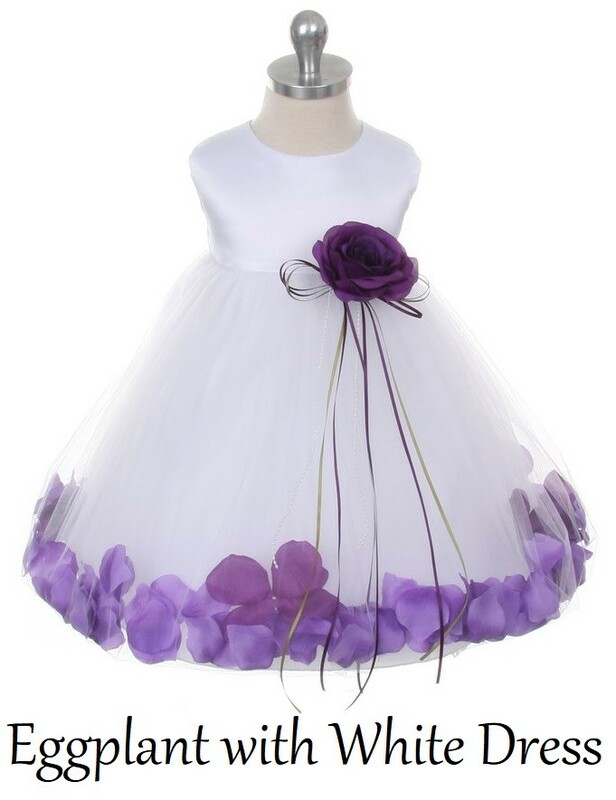 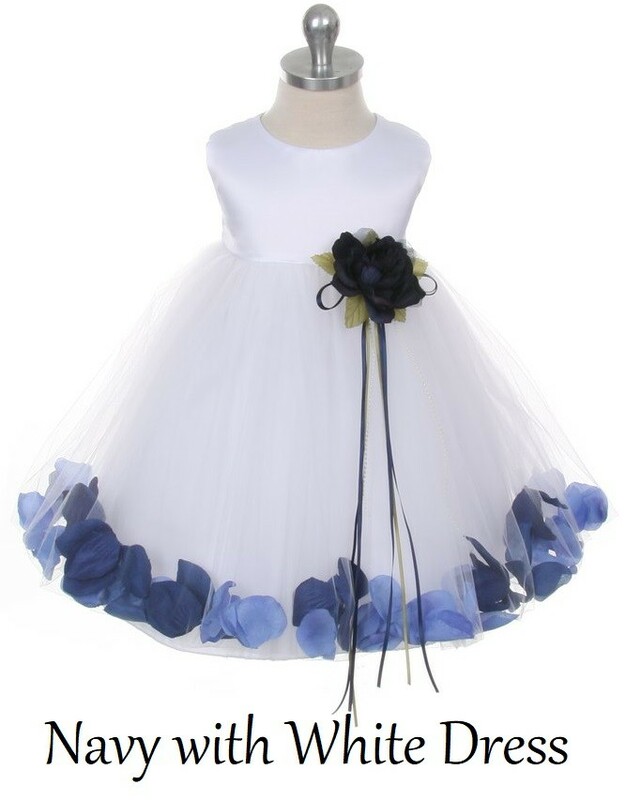 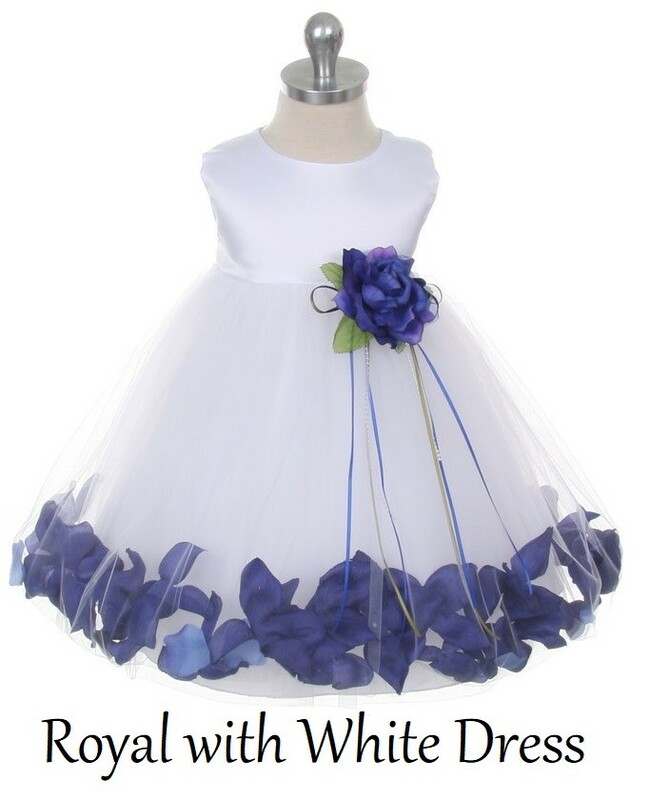 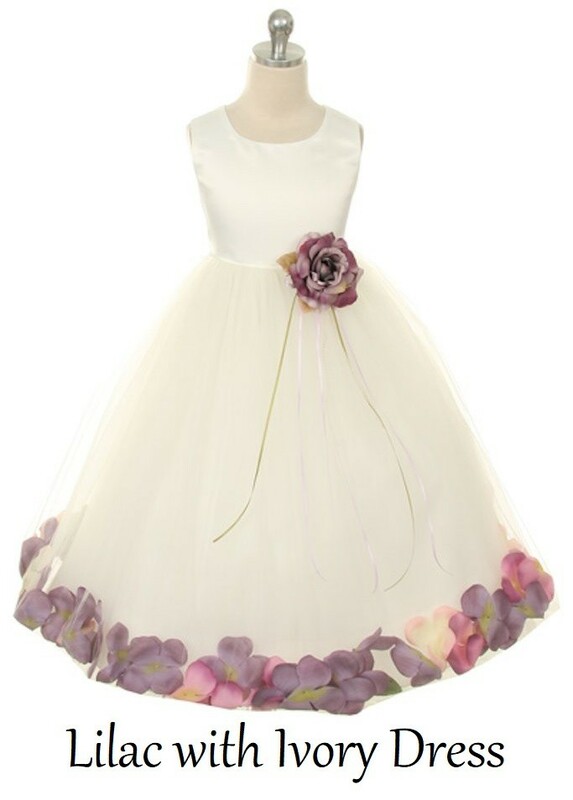 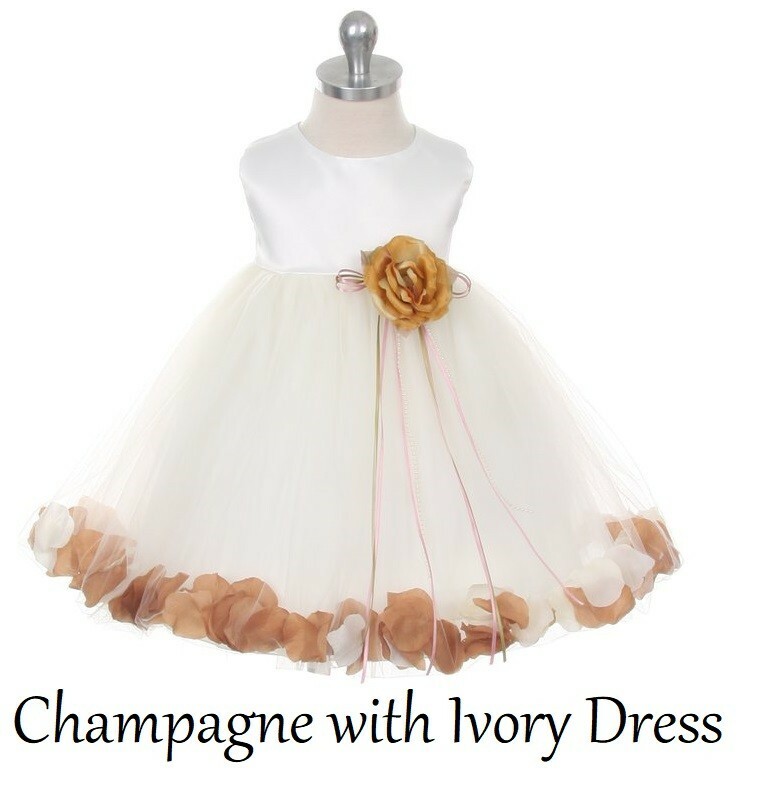 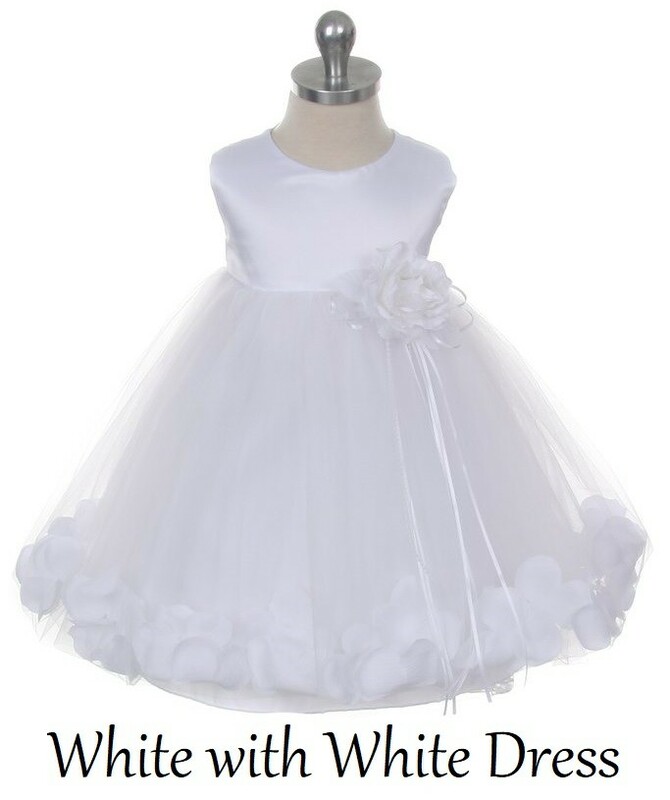 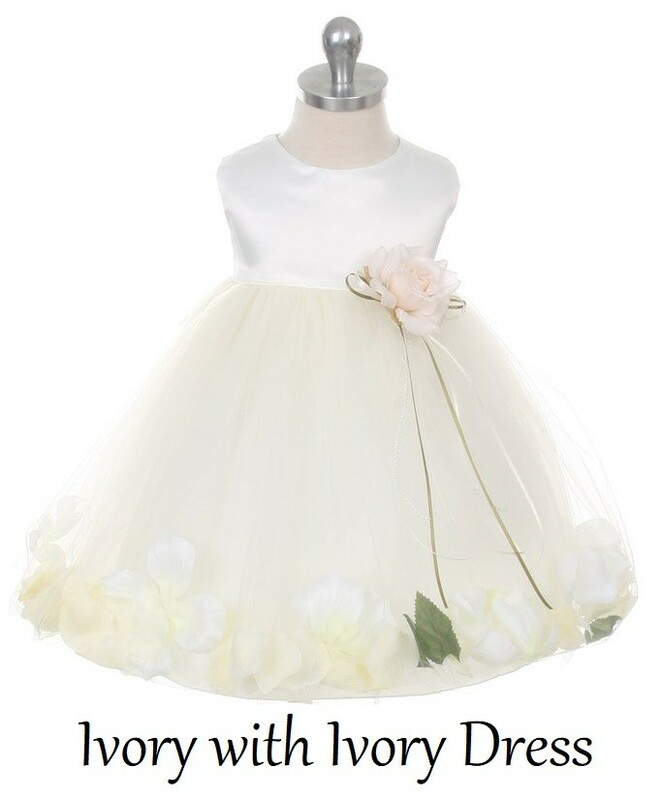 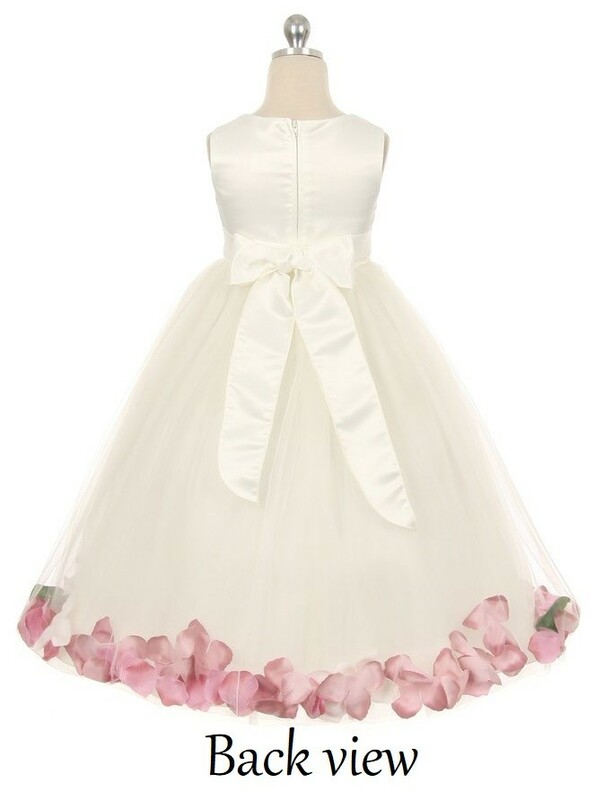 A beautiful White flower girl dress with petals scattered inside the double layers that make up the skirt. The colour combinations can be customised to suite your requirements. 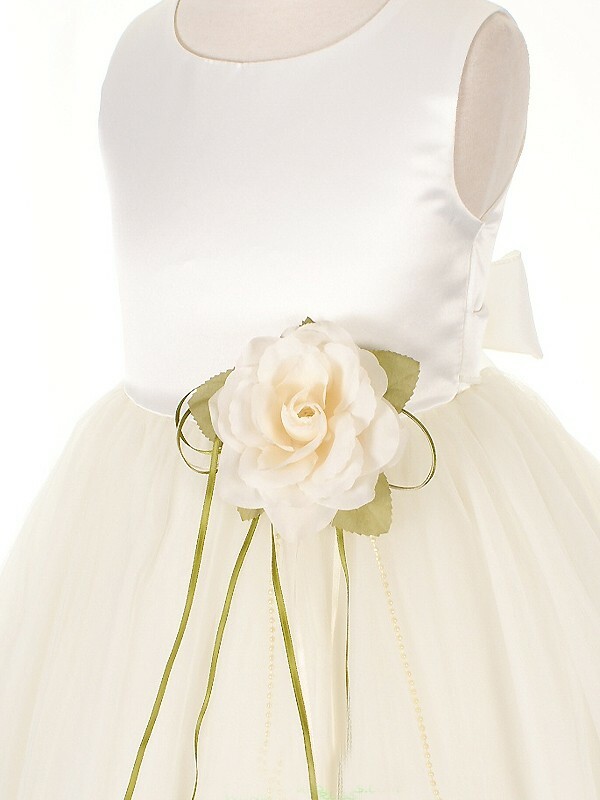 Fully lined, satin, sleeveless bodice with a rear zipper. 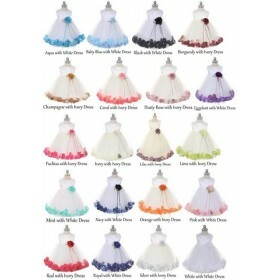 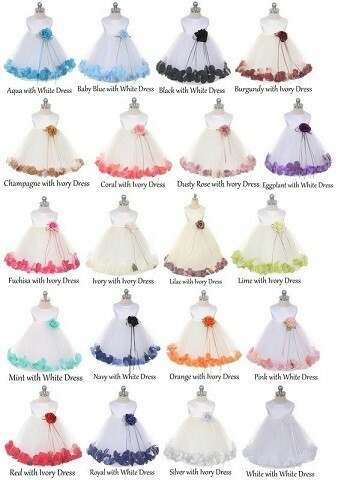 Please ensure when purchasing this dress that you select 1 colour of petals to be scattered inside your stunning dress. 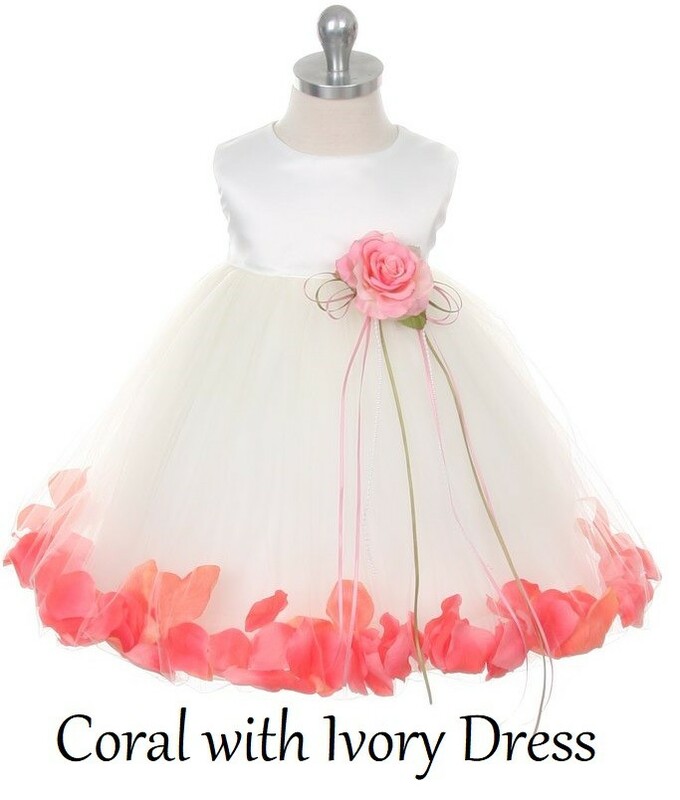 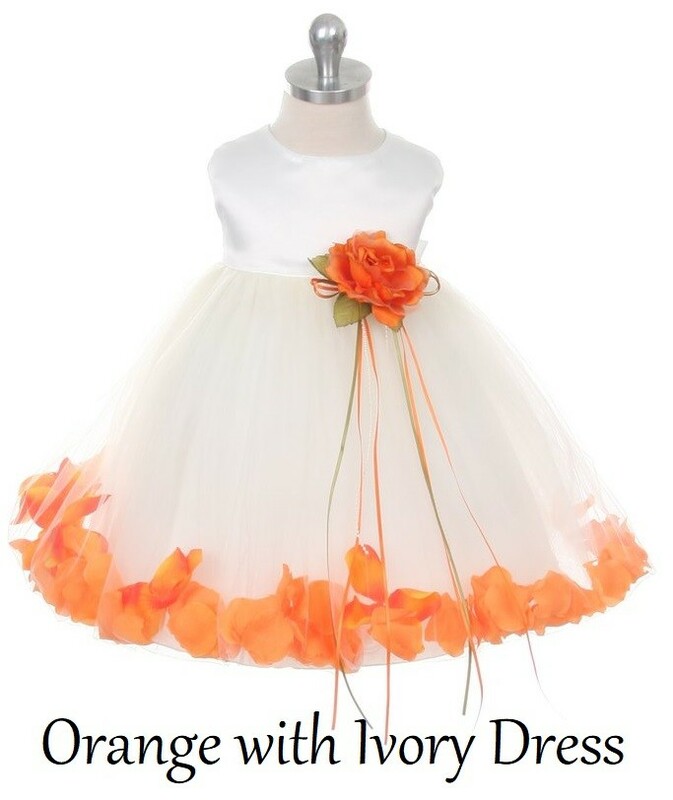 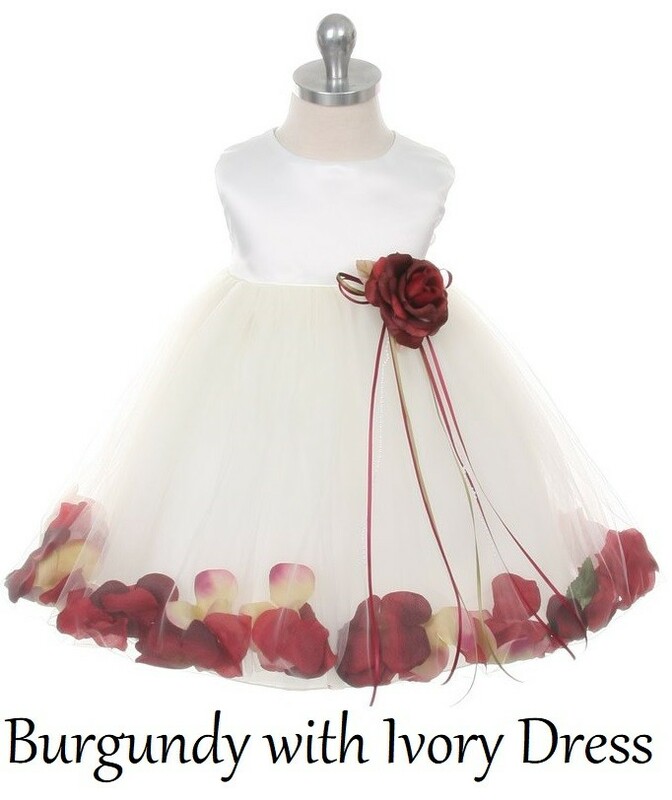 Flower sets are only free when purchasing our rosalie dress, if you purchase the $0.00 petal colours without the dress they will be cancelled from your order.